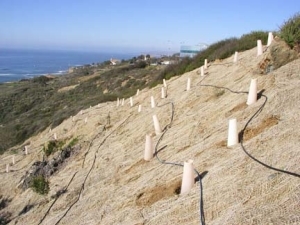 The Soil Ecology and Restoration Group is a research group within the biology department of San Diego State University and administrated by the San Diego State University Research Foundation. The research emphasis of SERG is on ecosystem dynamics of southern California. Theoretical analysis of fundamental processes and structures is complemented by applied research in native habitat restoration. 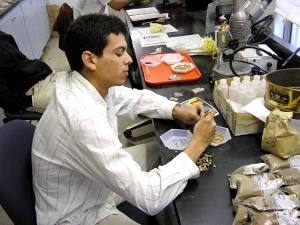 Primary research emphases include restoration techniques, soil chemistry, soil microbial ecology, and plant-microorganism relationships. Past studies have ranged from the effects of elevated carbon dioxide on soil fungi to comparisons of container size on survival and growth of native species transplants. Research and practical application has been accomplished through grants and contracts received from all types and levels of funding. These include competitive national agency grants from the Department of Energy, National Science Foundation, and the Environmental Protection Agency, along with direct contracts from other federal organizations including the Department of Defense, National Park Service, and the Bureau of Land Management. State agencies contracting with SERG include the California Department of Transportation, California Department of Fish and Game, and the California Department of Parks and Recreation. SERG research has also been funded by private agencies such as Southern California Edison, AMEC, and EDAW. Research in the Sonoran Desert began in 1986 and has continued up to the present. 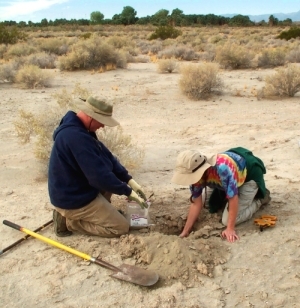 Studies have included evaluation of the nature of disturbance, soil remediation, seed collection, processing, and storage, dustfall and erosion control, plant production and outplanting techniques, remote site irrigation, plant protection, direct seeding, and the re-establishment of mesquite mounds along the San Felipe Creek watershed region of Anza-Borrego Desert State Park. The primary goal of these studies has been the mitigation of off-road vehicle damage, road construction, and mining. 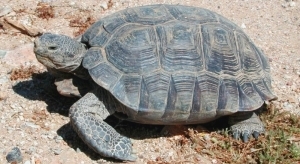 Research in the Mojave Desert began in 1991 and has continued up to the present. 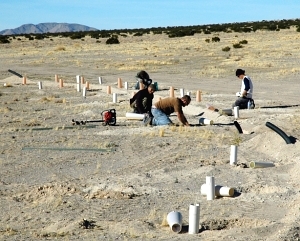 Studies have included plant-soil relationships, native plant restoration procedures, desert ecosystem and community structure, aeolian dust input, planting techniques, determination of hydrological and biological parameters for special status plant species, biological surveys of special status plant species within OHV areas, and soil amendments for mitigation of off-road vehicle damage, open-pit mining, and heap leach gold extraction operations. Research in coastal sage and chaparral habitat began in 1990 and has continued up to the present. Studies have included the effects of water competition between exotic annual and native perennial species, the use of recalcitrant organic matter for manipulating soil nitrogen cycles, the impact of elevated carbon dioxide levels on soil fungi ecology, non-vascular plant taxonomy and ecology, exotic species removal, biological and physical erosion control methods, and native plant restoration methods and procedures. Wildlife surveys for birds, reptiles, amphibians, and mammals, began in 1996 and have continued up to the present. Surveys are done in conjunction with plant community surveys to monitor impacts on wildlife populations of anthropogenic disturbances such as off-highway vehicle activity, agricultural encroachment, utility corridor construction, and exotic species invasion. 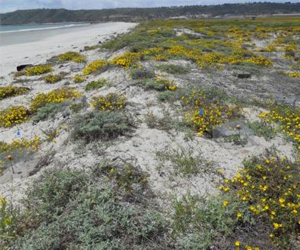 Since 2005 research in southern California coastal dune habitat has included development of propagation protocols for native plant species, analysis of the impacts of Carpobrotus edulis (iceplant) control through manual, mechanical, and chemical methods on the soil profile, and the establishment of native coastal foredune and backdune plant communities. Surveys of special status plant species including Phacilia stellaris, Acmispon prostratis, and Nemacaulis denudata var. denudata have been conducted to monitor population occurrence areas on military lands. 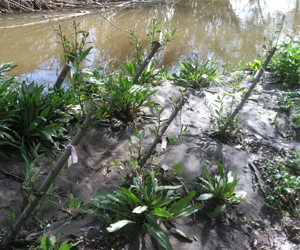 Recent research in riparian habitat includes the study of seed collection, processing, and storage, native plant restoration procedures and the removal of exotic species including Arundo donax (arundo), Washingtonia robusta (Mexican fan palm), Tamarix sp. (tamarisk) Ricinus communis (castor bean), and Foeniculum vulgare (fennel). Research and data analysis capabilities include soil analysis facilities for nutrients, organic matter, pH, metals and particle size determination, soil and vegetation mapping, greenhouse facilities for the germination and establishment of native seedlings, native seed collection and storage, and access to research faculty and personnel, laboratories, libraries, herbaria, and other facilities of both San Diego State University and University of California, Riverside.